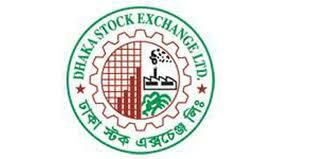 Two stock exchanges are in operation in our country – Dhaka stock exchange and Dhaka Stock Exchange. The establishment of Dhaka Stock Exchange introduced a new horizon in capital market of Bangladesh. The remarkable progress of the last 10 years of Dhaka Stock exchange has been made possible by the co-operation and assistance of its very skilled personnel, members, SEC, the listed companies and other associated participants in the stock market. DSE is a nonprofit making organization. I am incorporated on 1954 as a limited co. by guarantee on 1956; floor trading was made with open cry- out auction system .Now DSE is a completely automated exchange with screen based trading facility on countrywide communication network. The automated trading system of Dhaka Stock Exchange has removed all the limitations of the traditional ‘Cry-Out’ system. After launching the automatic trading system, Dhaka Stock Exchange’s major problem has almost been solved. At present, there are no such major problems as was available during the Cry-out system. Two types of Stock market. First one is primary market and second one is secondary market. Primary market issued shares first time, then the shares coming secondary market. Both primary and secondary market is dependable to one another. In primary market shares are issued by IPO to the public. In secondary market the shares, which are issued in the primary market, are traded through the brokers. From the forgoing discussion it can be said present automated trading environment, bids /offers, depth, required broker particulars are all recorded and can be retrieved for future reference. Nouvelle Securities Ltd is one of the Member of DSE. Nouvelle Securities Ltd started its journey in 1984 as a trading company. Gradually the company expanded itself in the manufacturing sector and also began to provide other services. Has Nouvelle Securities Ltd grown with time and also ventured into new arenas. The company’s motto is to be the best of the best of the few of the best. To examine the trading system of DSE. To know growth, development, organization and management of DSE. To examine current issues of DSE. To evaluate trading order and settlement system of DSE. To identify the problems and prospects of DSE. In this study data was collected and information were tabulated, processed and analyzed crucially in order to make the paper fruitful, informative and purposeful. The report has been prepared on the basis of the experience gained during the period of the internship on Nouvelle Securities Ltd. To prepare the report, I have collected all kinds of related data from the primary and secondary sources. 2 The primary data we collected through participation and discussion during the trading session. 4 I had collected information through interview with the investors by visiting various brokerage firms. The study also used secondary data. For this purpose we collect information from various sources such as various publications of DSE. Due to short time, I could not collect enough necessary data about the study to prepare the report. Some of key peoples of DSE were very much busy with their duties that they could seldom manage time to answer the questions. Investors are not fluently giving opinion due to some restriction. Researcher could not find sufficient data because of DSE great secrecy. DSE-Growth, Development, Organization & Management. The Chamber Informed Its Members And Members Of Its Affiliated Associations Of The Proceedings Of The Above Meeting, Requesting Them To Intimate Whether They Were Interested In Joining The Proposed Stock Exchange. This Was Followed By A Meeting, At The Chamber Of About 100 Persons Interested In The Formation Of The Exchange On 07.07.1953. The Meeting Invited 8 Gentleman To Become Promoters Of The Exchange With Mr. M Mehdi Ispahani As The Convener And Authorized Them To Draw Up The Memorandum And Article Of Association Of The Exchange And Proceed To Obtain Register Under The Companies Act.1913. The Other 7 Promoters Of The Exchange Were Mr. J M Addision-Scott, Mr. Mhodammed Hanif, Mr. A C Jain, Mr. A K Khan, Mr M Shabbir Ahmed And Mr. Sakhawat Hossin. At The Time Of Incorporation The Authorized Capital Of The Exchange Was Rs. 300000 Divided Into 150 Shares. Of Rs. 2000 each and by an extra ordinary general meeting adopted at the extra ordinary general meeting held on 22.02.1964 the authorized capital of the exchange was increased to Tk. 500000 divided into 250 shares of Tk. 2000 each. The paid up capital of the exchange now stood at Tk.460000 dividend into 230 shares of Tk. 2000 each. However 35 shares out of 230 shares were issued at TK. 80, 00,000 only per share of TK. 2000 with a premium of TK. 79, 98,000. The stock has a clear and specific vision for the future. Enhancing bond market through bringing in government and municipal bonds beside the corporate bonds. Bringing all securities under CDS in 2 years. Making the market competitive in terms of regional securities market perspective through ensuring market friendly rules and regulatory framework. Initiate the process of creating derivative and future market. § The National Parliament passed “The Depository Act, 1999” on the 5th of April 1999. § SEC adopted “ Public Issue Rules 1998” which was gazette on the 25th January 1999 and subsequently brought some amendments in this rule on the 28th April 1999. § SEC has approved the “Margin Rules 1999” to facilitate proper administration of credit facilities extended by the brokers to their clients and to enhance liquidity in the Exchange. § The cabinet on June 7th, 1999 approved the amended to the “Trust Act 1882” to facilitate the investment of 25% of pension and insurance funds in the capital market. § SEC has extended the time limit for brokers/dealers to continue underwriting business from 30 to December 31, 1999. § SEC amended the “Securities & Exchange Rules 1987” with a view to removing the “Counter Party Identification” facility from the trading of the Stock Exchange. § SEC amended the “Settlement of Stock Exchange Transactions Regulations 1998” envisaging stern measures against defaulters for failing to deliver securities or make payment within stipulated time. § DSE has a policymaking Body of 24 members, of whom 12 are elected and 12 are selected councilors. Member with the clearing house as prescribed by the Exchange. Rules and regulations made thereunder. 3. Free limit. – The free limit shall be taka one crore per trading day. exceeding the free limit failing which his trade shall remain suspended. calculation of the aggregate (gross) trade exposure. regulation (1) shall be endorsed in favor of the Exchange. fails to settle his trade with the clearing house on the settlement day. realization of member’s margin as per sub-regulation (1). outstanding for payment by the member to the clearing house. member’s request in writing in this respect. from him the amount mentioned in the notice of demand as per sub-regulation(4). Exchange, with the prior approval of the Commission, prescribes from time to time. updated and ready for inspection by the Exchange or by the Commission. Order or trade of any member from all or any of the provisions of these regulations. Ø Land and Building Committee. In case of Participatory capital, a copy of the trust deed. A statement containing Particulars of material contracts. Form 2 as printed in the listing regulations. A deed of Unconditional Undertaking to abide by the listing regulations of the DSE. Or between Vendors, Promoters, Underwriters, Brokers. Managing Director and Technical Director. Memorandum of Association, Articles of Association of the company.  Letter regarding permission for on-line trading.  Deed of Declaration as per clause 5 (b) of General Rules and regulations of DSE.  Two copies stamp size recent photograph. Ø In case of disclosure of news in any scrip, the circuit breaker percentage will be changed to a Market Operations specified value and will persist at this value for a specified number of days. Ø For new scrip, for specified number of days after the first trading day, the percentage is a Market Operations specified value. Till the first trading day for that scrip, there will be no circuit breaker percentage. Ø In case of book closure, the Exchange will provide an absolute value of circuit breaker, which will be used for a Market Operation specified number of days, following which it will revert back to the old value of the circuit breaker. ☼ Watching net high-low position. ☼ Investigation into specific deals of Broker/Dealers. 1 To maintain technical soundness for the entire DSE. 6 To store and Print out all data. 7 Information providing to various departments. 8 To advise the brokers about their technical difficulties. 2 Central Server/Status C400 series. 4 Fault tolerant continuously available. 5 16 GB Hard disk. 7 512 KB Cache Memory. 10 OLTE (Optical Terminating Equipment). 12 Data Storage………….. DAT (Digital Audio Type).  RDBMS (Relation Data Base Management System): Sybase. Dhaka members can connect their own office through WAN. Dhaka members can connect from their won office through WAN. Sylhet members can connect though LAN. 3) Dhaka-Sylhet is connected via Dhaka, through BT&T leased line & dial-in as back up. Research is a foremost necessity for any stock exchange. In order to fulfill the need DSE has established a ResearchCenter and are keeping close contacts with the UN bodies, international research organization, etc. This department has been publishing a monthly bulletin “PORTFOLIO” It was earlier published in the name of “market update” This monthly magazine is being distributed to the concerned persons and agencies including Bangladesh Missions abroad, Foreign Missions in Bangladesh, Stock Exchange-World wide etc. in addition to the transaction data analysis, Portfolio carries in depth analysis, interpretative write-ups on the share markets, investments, capital flow and formation and the state of the economy in general. DSE also envisages publishing fact book, booklets on trading rules, clearing & settlement rules etc. ☼ About capital market etc. Collect B/O Account opening form from a depository participant. Fill it up, sign it, enclose to recent color pp size photograph and photocopy of nationality certificate / passport and a certificate from the manager of the bank account. Submit it to the concerned DP along with charges. The DP will input your data into the online server of CDBL. Collect IPO application form from DSE or its broker offices Bankers to the issue. Fill it up, sign it. Submit the form along with the subscription money to the selected bank. Now one can sell the shares or hold it. Estimated profit and cash flow. Company’s sponsors have good financial track record and are not loan or tax defaulters. Share issue price is as per net asset value and present income based value. Has the company long-term loan from BSB and BSRS? Any foreign investor’s portfolio in the company. What to know before investing? Observe first and study the market. Place your buy / sell order. Get buy / sell confirmation. You can hold it or sell it if price increases. If you hold it you may get cash dividend or stock dividend. DSE upgraded the Trading System again on 21st December 2008. The existing HP Nonstop S7804 Server is highly fault tolerant to the fact that no single component failure will halt the system. Its constituent parts are hot swappable and upward compatible; components can be added or removed while the system is running and any compatible new upgraded will work with the system. Network (LAN / WAN) All The Member (230 members) Server Applications (MSA) are connected with Nonstop HP S-Series Server through either DSE LAN or WAN connectivity. Each member has one or more Trader Work Station (TWS). The TWS,s are being connected to the Trading Server via respective MSA through LAN and WAN connection. At Dhaka stock exchange end, the server is a struts continuum 450 Fault Tolerant machine. This server would be connected with the computers of Dhaka Stock exchange stockbrokers. They will dial into the server and communicate data to deal in stocks. The server is located in Dhaka. But regardless of the place, the broker is calling from; the server will receive process and revert data. The system is geographically neutral. To get access to it, members in Dhaka and Sylhet will need to call only a local number. The connection cost will only be the price of a local telephone call. All Dhaka stock exchange members are BT & telephone subscribers. Dhaka stock exchange’s inter city network, which uses a hybrid of a few media, will transmit data between the server and the machines of the member.